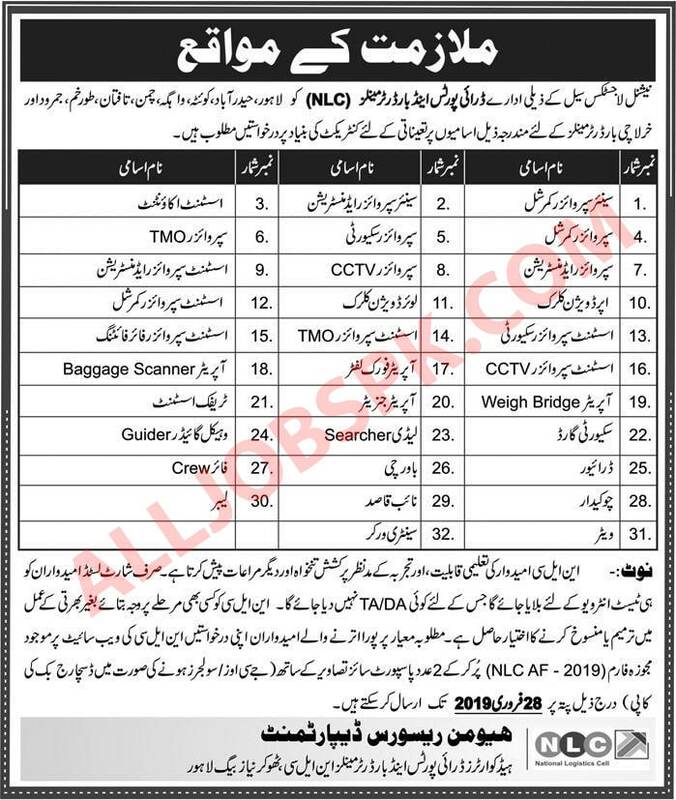 Jobs in National Logistics Cell NLC 2019, Application are invited for following position in NLC latest job by government of Pakistan. Last Date 28 February 2019. Stay in touch with us and keep visiting our site Alljobspk.com for more jobs.